Despite my great interest in the Regency architecture of Brighton & Hove, it is not in fact my favourite style. There’s a small picture shop on Nile Street in the Lanes where I first met Tamara de Lempicka; well, copies of her paintings anyway. This was quite a few years ago and I had no idea at the time what Art Deco meant. She painted fast cars, empowered women and mysterious men. The Art Deco movement was prevalent during the 1920s and 30s and manifested itself within various disciplines including architecture, interior design, fashion, art and car design. Despite there being no obvious connection between de Lempicka’s paintings and the buildings of the day, there certainly is one there. Even the architectural style itself is hard to define. Elements include, though this list is by no means exhaustive, high quality stone masonry, Terrazo floors, curved glass, bronze door furniture, flat roofs and intricate fenestration. Bearing in mind the excitement surrounding the current Tutankhamen exhibition in London, it is worth noting that the Art Deco movement was heavily influenced by the 1922 discovery of that King’s tomb. Instead of travelling to Egypt though, last year, I went to New York to see some of the world’s most famous Art Deco buildings such as the Empire State Building, the Chrysler Building, the Waldorf-Astoria Hotel and the Rockefeller Centre. On a smaller scale, Hove has several rather respectable Art Deco buildings of its own such as 4 Grand Avenue, Courtenay Gate on the seafront, and, on Furze Hill, both Wick Hall and Furze Croft. Furze Croft and Wick Hall, two large residential blocks, were built across the road from each other during the 1930s by Bell Modern Flats; each on the site of a single house. 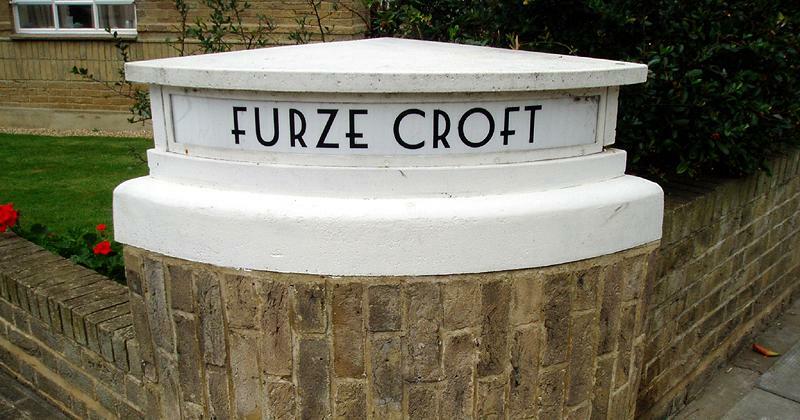 Furze Croft replaced a house known variously as ‘Wick House’, ‘Wick Hill’ and ‘The Wick’. It is in fact made up of two adjoined but separate buildings with separate entrances and lift shafts. It has many of the features that I would expect of an Art Deco building – BMA (Bronze Metal Antique) door handles, Crittle windows with curved glass on the bays, and a steel frame. 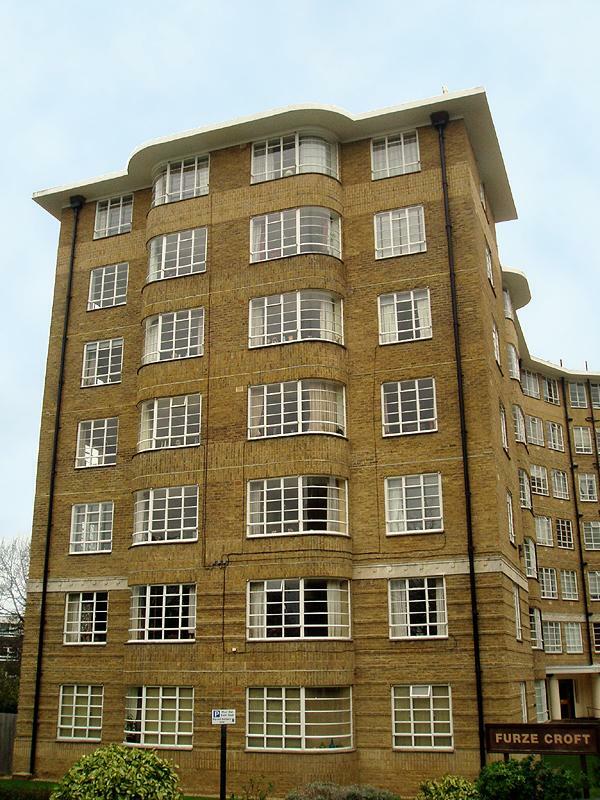 It is not often that I approve of the destruction of a single house to make flats but Furze Croft and its Art Deco counterparts remind me that it’s not flats that I’m against; it’s bad buildings. Developers take note.